What is an antimicrobial restoration technician? The Standard was available for the first round of public review and the Reference Guide was available for informal peer review from July 05 to August 19, 2013. The second round of public review of the S520 Standard, and peer review of the S520 Reference Guide was from March 13 to April 27, 2015. All public and peer review comments submitted have been reviewed and addressed, and responses have been sent out. The S520 Consensus Body is currently reviewing the draft for final editing prior to submission to ANSI, and publication. BSR-IICRC S520-2008 is a procedural standard and reference guide for the remediation of mold damaged structures and contents. IICRC S520 is based on reliable remediation and restoration principles, research and practical experience, and attempts to combine essential academic principles with practical elements of water damage restoration for technicians facing “real-life” mold remediation challenges. 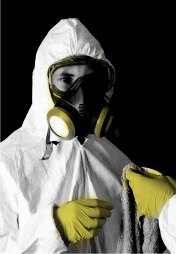 The S520 is written for use by those involved in the mold remediation industry, and is the result of collaboration among microbiologists and other scientists, public health professionals, industrial hygienists, remediation contractors, restoration service companies, cleaning and restoration training schools, trade associations that service the professional restoration industry, allied trade-persons, and others with related professional and practical experience.